When your knitworthy best friend asks you to make her a DNA Pussyhat you design her a DNA Pussyhat! I am pleased to share another addition to the GENEie Thinking Cap for Science Fans collection - The GENEie Pussyhat! I spliced the GENEie cable onto the square Pussyhat shape. A bunch of knitters are already planning to knit these hats in green in support of both the Women's March and the March for Science, scheduled for Earth Day, April 22, 2017. The GENEie Pussyhat has a DNA double helix cable running up the side of the front and then down the side of the back of the hat. The free knitting pattern for the GENEie Pussyhat is available below on this post. You can download a PDF for the GENEie Pussyhat Knitting Pattern through Google Drive. Yarn: Worsted weight yarn. The sample was knit with hand dyed bare Wool of the Andes Yarn (66 g, 147 yards). Notions (optional): Stitch markers to note beginning of round, cable needle, tapestry needle. After the Women's March in January 2017, all yarn stores are still out of pink yarns. Since I had some Bare Wool of the Andes in my collection I decided to dye my own! A tutorial for the yarn dyeing process will be on the ChemKnits Tutorials YouTube channel by the end of February 2017. M1 – Make One. Make a new stitch by picking up the yarn between two stitches, twisting it and knitting. 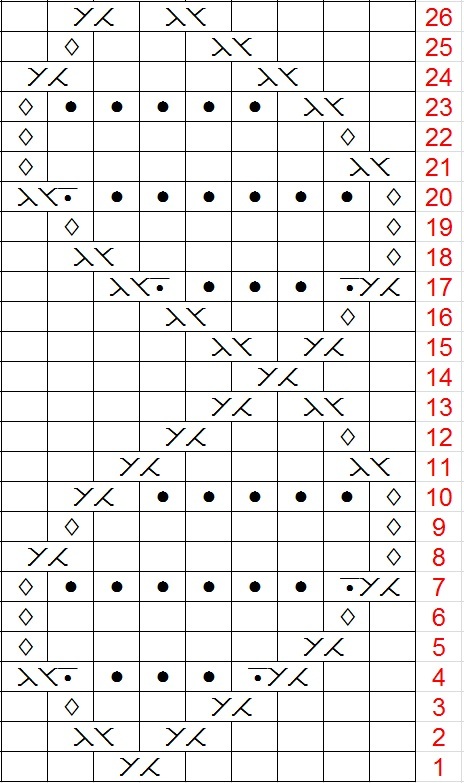 GENEie DNA Cable Knitting Chart - The chart for the GENEie Pussyhat is slightly different from the GENEie Hat (Cable Version). The cables of the Pussyhat are on a background of stockinette versus reverse stockinette in the original cable version. Cast on 100 sts. Place Marker (PM) and join to knit in the round. Cable Round 2: K11, SM, Knit the 9 sts of Chart Row 2, SM, Knit until the next marker (70 sts), SM, Knit 9 sts of Chart Row 2, SM, K11. Weave in loose ends. Block if desired. Line-by-line Written Instructions for the DNA Helix Knitting Chart - The DNA Cable Knitting chart on a stockinette background is 9 stitches wide and 26 rows long. The written instructions below are for the 9 stitches of the cable. The chart is read from the bottom up, right to left. The GENEie Pussyhat has a DNA double helix cable on a stockinette background. If you would like to have the cable on a reverse stockinette background, check out the knitting charts from the original GENEie Cable Version. The knit DNA double helix on a stockinette background (pink) and a reverse stockinette background (gray). I believe in evidence based legislation. This is one of the reasons why I will March for Science. I believe that women's rights are human rights and that human rights are women's rights. I believe in standing up and letting my voice be heard, and this is why I spliced my DNA cable knitting motif with the pussyhat shape to create the GENEie Pussyhat. For an all over cable pussyhat, start with the instructions for GENEie (Cable Version). Work charted rounds 1-27 and then rounds 2-27 until you've reached the desired length. Graft the top together. To make a smaller hat, you can skip the stitch increases immediately after the ribbing portion or you can increase/reduce the total number of stitches between the two cable charts. Start with a multiple of 4 stitches to make the ribbing work out. A side view of the GENEie Pussyhat. The DNA cable strand runs up the front of the hat and then down the back. Placement of the markers and the two cable sections. The GENEie Pussyhat right before grafting the top together. Top: GENEie - The Next Generations Headband (top left) and Hat (top right). It has been a whirlwind creating 5 different GENEie hat samples in the last two weeks. I was inspired to create these designs by YOU, my supporters. I really appreciate that you enjoy my scientific perspective on knitting. Are there any molecules you would like to see charted? Let me know and I'll see what I can do! GENEie Pussyhat Knitting Pattern © 2017 ChemKnits & Rebecca Roush Brown. This pattern is available for free via www.ChemKnits.com for your personal or charity use. You are not to copy or distribute this pattern without the permission of the publisher, ChemKnits. Thank you so much for the pattern. My daughter in law and myself along with one of her friends marched also. We are in Seattle area. I made all our pussyhats. 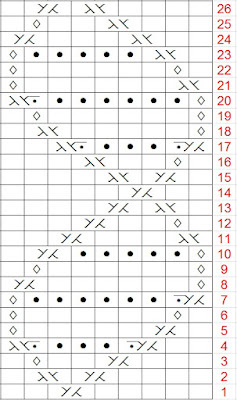 Pattern update 2/12/2017: Line-by-line instructions for the cable chart are now available. Enjoy! The text in the blog post has been corrected. I will update the PDF ASAP. The file "ChemKnits GENEie Pussyhat Knitting Pattern V2" is up to date. The PDF version 2 is now available! I've removed access from the incorrect version. Please link to and share the www.chemknits.com page. The PDF links will change as the pattern is updated. Love this so much! Wondering if you have a version of the chart worked flat, rather than in the round? Unfortunately I don't at this point. Since there are cable stitches on both RS and WS rows it isn't super simple to re-write. If you want to knit a pussyhat flat with a DNA cable, may I recommend the chart from the origional GENEie Colorwork version. If I do end up translating the chart to one that can be worked flat I'll let you know. This is fabulous! Thanks so much, I'll be making one for the March. I have updated the pattern with instructions to make a slightly smaller hat. Of all of the GENEie designs, this hat is the easiest to modify for different weights of yarn and head sizes. If you have any questions feel free to contact me here, on Ravelry or through Facebook. Happy Knitting! I was planning on making a green pussyhat for the March for Science and accidentally stumbled on your pattern. Brilliant! So excited to make it! Thank you. Thank you so much for the pattern. The Helix is fabulous. Hi, I don't know if you've joined the New group on Facebook called: "The Resistance Knitters"? I just posted your pattern there. I work closely with March for Science - knitting and crafting group. I'm trying to create a group where we not only talk knitting, but encourage one another along on the path of Resistance. I was a history teacher, so I often post news pieces and opinion articles to keep us informed. Hope you can join us! so, I love this pattern and plan to make this hat but I'd like to do a different version somehow. I really don't like the kitchener stitch so I was thinking about making the Geneie cable version but just doing one cable, like the pussyhat. I have decided that's beyond my skillset. Any help on this? How can I just isolate it and do one cable? You can absolutely skip the kitchener stitch! A 3 needle bindoff or even a bindoff and then a whip stitched end would work. If you want to knit it flat, here is a version of the cable chart with both Right side and wrong side instructions. I would ignore the garter stitch border from that chart, but I wrote out the instructions for the cables on the wrong sides. I made a playlist of some of my tutorials that are helpful for knitting the GENEie patterns. Tutorials for Knitting GENEie Hats. Please let me know if you have any other questions! so cool. got to make one for my genetics counselor daughter. thank you for sharing the pattern. Thanks for putting together this pattern and sharing it! I'm mid-way through making one of these right now, it's my second knitting project after a pussyhat and despite learning in-the-round and cable knitting, it's all been really approachable using your instructions. The only time I had to ask a knitter friend for help was in the M1 because the youtube videos I found would describe either right-leaning make one or left-leaning make one and I wasn't sure which one you were calling for. And I love the line-by-line descriptions! I've never followed a chart before, and having just read a blog post on how to read them, I would have definitely read the chart left-to-right (even though that obviously makes no sense) and made a mess of it. :) I'm going to be so thrilled to have my hat for the march next week! One super minor correction to the line by line written instructions: line 4 says "K2, C4-bpk, P3, C3-fpk" but C4 is bkp, not bpk (and the surrounding stitches make it more likely it is bkp). What changes would have to be made to knit this in DK/8ply weight? I tend to have that available to me where I am much more often than Worsted/10ply. Hey, I was wondering if you could clarify what this means " (K10, M1) 6 times". Am I supposed to do that set 6 times or the following set of stitches 6 times? I seem to end the round with way fewer stitches than what are supposed to be left. Thank you so much!